Acute overdose is often manifested by nausea, asthenia, bradycardia, dizziness, hypotension, and cardiac arrhythmia. Plasma, serum, or blood concentrations of verapamil and norverapamil, its major active metabolite, may be measured to confirm a diagnosis of poisoning in hospitalized patients or to aid in the medicolegal investigation of fatalities. Blood or plasma verapamil concentrations are usually in a range of 50-500 μg/l in persons on therapy with the drug, but may rise to 1–4 mg/l in acute overdose patients and are often at levels of 5–10 mg/l in fatal poisonings. Verapamil's mechanism in all cases is to block voltage-dependent calcium channels. In cardiac pharmacology, calcium channel blockers are considered class-IV antiarrhythmic agents. Since calcium channels are especially concentrated in the sinoatrial and atrioventricular nodes, these agents can be used to decrease impulse conduction through the AV node, thus protecting the ventricles from atrial tachyarrhythmias. Calcium channels are also present in the smooth muscle lining blood vessels. By relaxing the tone of this smooth muscle, calcium channel blockers dilate the blood vessels. This has led to their use in treating high blood pressure and angina pectoris. The pain of angina is caused by a deficit in oxygen supply to the heart. Calcium channel blockers like verapamil dilate blood vessels, which increases the supply of blood and oxygen to the heart. This controls chest pain, but only when used regularly. It does not stop chest pain once it starts. A more powerful vasodilator such as nitroglycerin may be needed to control pain once it starts. Given orally, 90–100% of verapamil is absorbed, but due to high first-pass metabolism, bioavailability is much lower (10–35%). It is 90% bound to plasma proteins and has a volume of distribution of 3–5 l/kg. It is metabolized in the liver to at least 12 inactive metabolites (though one metabolite, norverapamil, retains 20% of the vasodilating activity of the parent drug). As its metabolites, 70% is excreted in the urine and 16% in feces; 3–4% is excreted unchanged in urine. This is a nonlinear dependence between plasma concentration and dosage. Onset of action is 1–2 hours after oral dosage. Half-life is 5–12 hours (with chronic dosages). It is not cleared by hemodialysis. It is excreted in human milk. Because of the potential for adverse reaction in nursing infants, nursing should be discontinued while verapamil is administered. 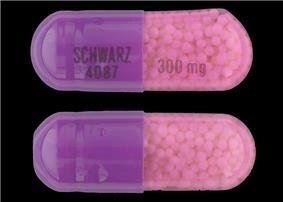 Verapamil has been reported to be effective in both short-term and long-term treatment of mania and hypomania. Addition of magnesium oxide to the verapamil treatment protocol enhances the antimanic effect. It has on occasion been used to control mania in pregnant patients, especially in the first three months. It does not appear to be significantly teratogenic. For this reason, when one wants to avoid taking valproic acid (which is high in teratogenicity) or lithium (which has a small but significant incidence of causing cardiac malformation), verapamil is usable as an alternative, albeit presumably a less effective one. Intra-abdominal adhesions are common in rabbits following surgery. Verapamil can be given postoperatively in rabbits which have suffered trauma to abdominal organs to prevent formation of these adhesions. Such effect was not documented in another study with ponies. Verapamil is also used in cell biology as an inhibitor of drug efflux pump proteins such as P-glycoprotein. This is useful, as many tumor cell lines overexpress drug efflux pumps, limiting the effectiveness of cytotoxic drugs or fluorescent tags. It is also used in fluorescent cell sorting for DNA content, as it blocks efflux of a variety of DNA-binding fluorophores such as Hoechst 33342. Radioactively labelled verapamil and positron emission tomography can be used with to measure P-glycoprotein function. Verapamil is being studied for diabetes in animal models. Human trials are expected to begin in 2015. Trade names for verapamil include Isoptin, Verelan, Verelan PM, Calan, Bosoptin, Calaptin, Verogalid ER and Covera-HS. ^ Srinivasan, Viswanathan; Sivaramakrishnan, H; Karthikeyan, B (2011). "Detection, Isolation and Characterization of Principal Synthetic Route Indicative Impurities in Verapamil Hydrochloride". Scientia Pharmaceutica 79 (3): 555–68. ^ Jun, P.; Ko, N. U.; English, J. D.; Dowd, C. F.; Halbach, V. V.; Higashida, R. T.; Lawton, M. T.; Hetts, S. W. (2010). "Endovascular Treatment of Medically Refractory Cerebral Vasospasm Following Aneurysmal Subarachnoid Hemorrhage". American Journal of Neuroradiology 31 (10): 1911–6. ^ Drislane, Frank; Benatar, Michael; Chang, Bernard S.; Acosta, Juan; Tarulli, Andrew (1 January 2009). Blueprints Neurology. Lippincott Williams & Wilkins. pp. 71–. ^ "verapamil, Calan, Verelan, Verelan PM, Isoptin, Covera-HS (cont.)". MedicineNet.com. Retrieved 10 Jan 2012. ^ Steele, RM; Schuna, AA; Schreiber, RT (1994). "Calcium antagonist-induced gingival hyperplasia". Annals of internal medicine 120 (8): 663–4. ^ Wilimowska, Jolanta; Piekoszewski, Wojciech; Krzyanowska-Kierepka, Ewa; Florek, Ewa (2006). "Monitoring of Verapamil Enantiomers Concentration in Overdose". Clinical Toxicology 44 (2): 169–71. ^ Giannini, AJ; Houser Jr, WL; Loiselle, RH; Giannini, MC; Price, WA (1984). "Antimanic effects of verapamil". The American Journal of Psychiatry 141 (12): 1602–3. ^ Giannini, AJ; Taraszewski, R; Loiselle, RH (1987). "Verapamil and lithium in maintenance therapy of manic patients". Journal of clinical pharmacology 27 (12): 980–2. ^ Giannini, A.James; Nakoneczie, Ann M.; Melemis, Stephen M.; Ventresco, James; Condon, Maggie (2000). "Magnesium oxide augmentation of verapamil maintenance therapy in mania". Psychiatry Research 93 (1): 83–7. ^ Elferink, Jan G.R. ; Deierkauf, Martha (1984). "The effect of verapamil and other calcium antagonists on chemotaxis of polymorphonuclear leukocytes". ^ Azzarone, Bruno; Krief, Patricia; Soria, Jeannette; Boucheix, Claude (1985). "Modulation of fibroblast-induced clot retraction by calcium channel blocking drugs and the monoclonal antibody ALB6". Journal of Cellular Physiology 125 (3): 420–6. ^ Steinleitner, Alex; Lambert, Hovey; Kazensky, Carol; Sanchez, Ignacio; Sueldo, Carlos (1990). "Reduction of primary postoperative adhesion formation under calcium channel blockade in the rabbit". Journal of Surgical Research 48 (1): 42–5. ^ Baxter, Gary M.; Jackman, Bradley R.; Eades, Susan C.; Tyler, David E. (1993). "Failure of Calcium Channel Blockade to Prevent Intra-abdominal Adhesions in Ponies". Veterinary Surgery 22 (6): 496–500. ^ Bellamy, W T (1996). "P-Glycoproteins and Multidrug Resistance". Annual Review of Pharmacology and Toxicology 36: 161–83. ^ Luurtsema, Gert; Windhorst, Albert D.; Mooijer, Martien P.J. ; Herscheid, Jacobus D.M. ; Lammertsma, Adriaan A.; Franssen, Eric J.F. (2002). "Fully automated high yield synthesis of (R)- and (S)-[11C]verapamil for measuring P-glycoprotein function with positron emission tomography". Journal of Labelled Compounds and Radiopharmaceuticals 45 (14): 1199–207. ^ "UAB cures diabetes in lab mice, preparing for human trial". ^ "Human clinical trials to begin on drug that reverses diabetes in animal models".